I am somewhat new to the TPT seller experience. I am working on revamping my image and this was a perfect way for me to do just that! I am excited to participate in the TPT Seller Challenge! For week 1, I have to take a product in my store and do a makeover! I have 12 products currently. Like I said, I am fairly new to this! 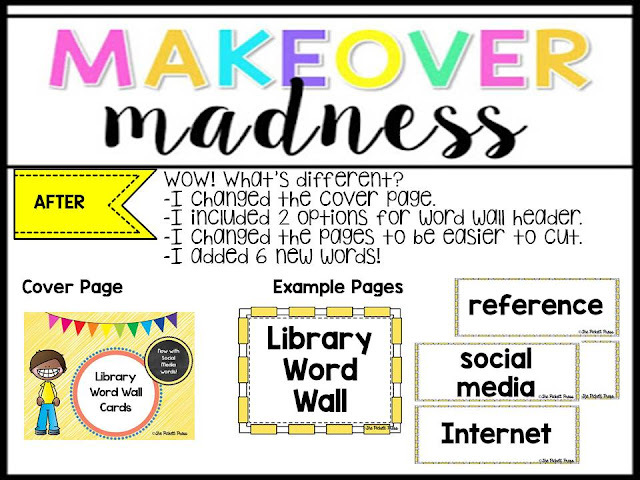 My best-selling item is something I created while I was still working in the media center: Library Word Wall Cards. Ah, I think that looks much better and will be better suited for a word wall! 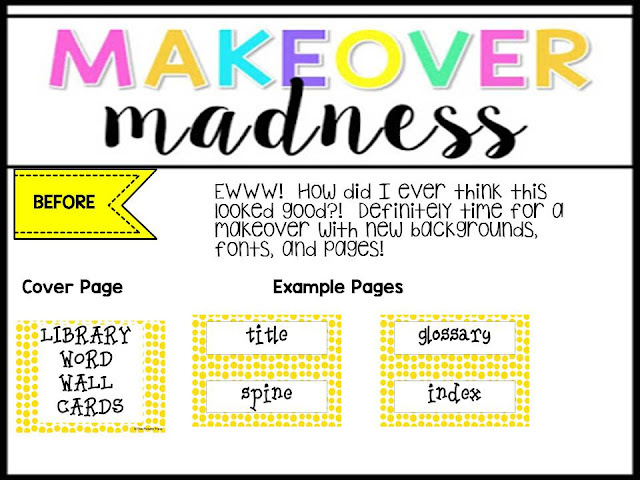 This will definitely motivate me to change the other word wall cards and add more options of color choices! If you are interested in purchasing or want to pass it along to your media specialist, click here for the link to my the product! I am looking forward to next week's challenge! Check out the other challengers here! Love it! I will pass it along to our media specialist! I love the redo! Sometimes I look back at my early products and think the same thing. But, it's all a process. Nice Job! I had an "eek" experience on mine too! I think your updates are definitely eye catching. Also, love your blog design!